Sahaja Yoga Meditation has been practiced all over the world since its founding in 1970 by Shri Mataji Nirmala Devi. Classes are always taught free of charge, as a core philosophy of this practice is that this sense of peace and balance is a birth-right, and cannot be sold. Practitioners, of all ages have consistently reported profound transformations in their physical, mental and spiritual well-being. Scientific studies have shown that SYM has a wide range of health benefits including stress relief, reduced asthma, better managed epilepsy, improved attention and focus in children suffering from AD/HD, alleviated depression, enhanced emotional resilience, and better results in overcoming addiction to alcohol and drugs. (See links to studies, below.) These kinds of changes are evident both in long-term practitioners as well as those who have attended a few classes. One SYM class in Salem, MA is being offered to a group of participants who have previously attended or are still in a drug/alcohol addiction recovery program, and has met with encouraging results so far. One participant explained that even after being ‘clean and sober’ for the past 14 years, she had always been riddled with ungrounded fears and anxieties that were preventing her from feeling at peace. Since she started meditating a little over a year ago, her ability to overcome these fears has improved dramatically. “[Through Sahaja Yoga Meditation], my relationships with people have grown deeper and stronger,” she says, adding: “If in one year I have reaped all these benefits I can hardly imagine what more is to come.” (Contact info below.) She now teaches meditation in Salem. Her students include those facing struggles with addiction, similar to what she faced in the past. We can agree that the world we face over the next century may seem far from peaceful, and that the “changes we wish to see,” are profound. 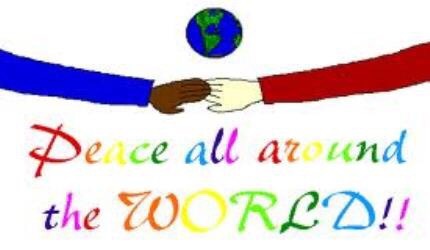 But the events planned at schools and community centers throughout the Boston area, in honor of World Inner Peace Day, seek to offer a powerful and practical way to “be the change we wish to see,” by establishing that peace within.